I help people move better to feel better in their bodies. There are many modalities in which I can work with you. Pilates is always the base but I can show you how to improve posture, get stronger, perform better, reduce or eliminate pain through many other methods such as the Melt Method, Fascial Stretch Therapy and self massage using the Roll Model Method. I am now a certified Kettlebell Instructor. This is great for strength training and cardio training. I teach multiple public group classes a week, Melt classes and workshops, offer corporate wellness presentations, weekend workshops, and teacher trainings. I was a senior teacher trainer at Body Harmonics Pilates, for 7 years. Every day, regardless of the types of people I work with, I help people rediscover the love of their body and learn how to live in their bodies pain-free. For private sessions you can see me in Leslieville, the Annex or Roncevalles Village ~ book with me for personal attention. Fahmida Bhabha has been teaching movement for 11 years. She trained and received her certification in IMT, Pilates Mat and Reformer at Second Wind Pilates Plus (Port Credit, Ontario) by Daniele Belec in 2005. 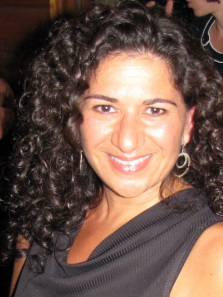 Fahmida continued her education with numerous Pilates workshops at Body Harmonics Pilates, including her Caddilac and Chair certification in 2016. She received her personal training and holistic lifestyle coaching certifications from the CHEK Institute (Vista, California) in 2007/08. While working as a personal trainer Fahmida was introduced to world of fascial work and became a Fascial Stretch Therapist thru the Stretch to Win Institute (Tempe, Arizona) in 2010. She discovered The Melt Method (NYC, N.Y.) and trained as a Hand & Foot instructor in July 2013, and full MELT instructor in June 2014. Continuing with her training in fascial work Famida completed 2 workshops in the Roll Model Method – The Science of Rolling and Ball Sequencing and Innovation on her way to becoming a Roll Model Method Practitioner. Fahmida currently works as a freelance Pilates instructor teaching corporate classes, private sessions in her private loft studio as well as teaching privates at Boomerang Pilates. She was part of the clinic and a senior faculty member at Body Harmonics while maintaining a teaching schedule for 7 years. At Boomerang, clients can expect specialized postnatal retraining, fascial stretch therapy, 1-on-1 MELT sessions and abdominal retraining especially postpartum. Fahmida was a freelance photographer working in Toronto and abroad for over 15 years and knows first hand the affects physically demanding work can have on the body. It’s this that brought her to find a way of helping herself to stay healthy, well, and strong for the long term. I believe that Pilates is not just a workout but a way of life. Pilates is meant to allow you to live, work, and play up to your best potential. It is not just about how you look on the outside, (although you will look great!) but how you feel and move. I specialize in dealing with athletes, rehabilitation, pre/post natal - especially rehabbing Diastasis Recti. ​If you're in pain, want to get out of pain or want to improve performance I can help you do that.